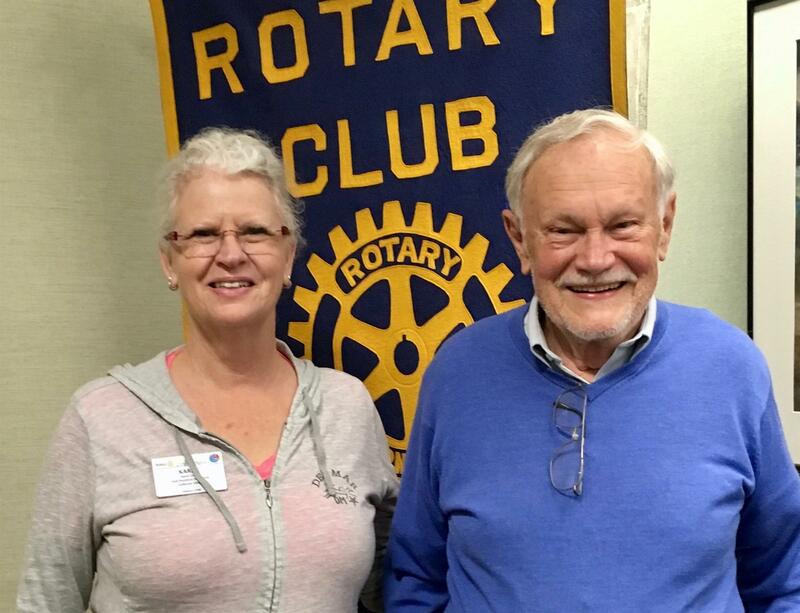 Rotary President Karen Utley and Roger Liles, author of The Berlin Tunnel. 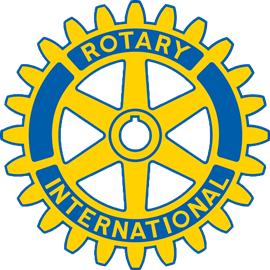 The author presented information about the 1960s Berlin Occupation. He was an Air Force Signals Intelligence Officer who was stationed in Turkey and Germany at that time. 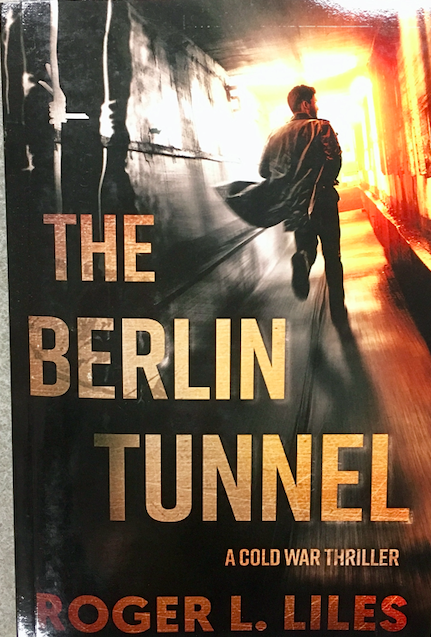 His cold war thriller is a fictional account of how a second tunnel might have been built between East and West Berlin. Photo inside the only existing tunnel: The Gold/Stopwatch tunnel. 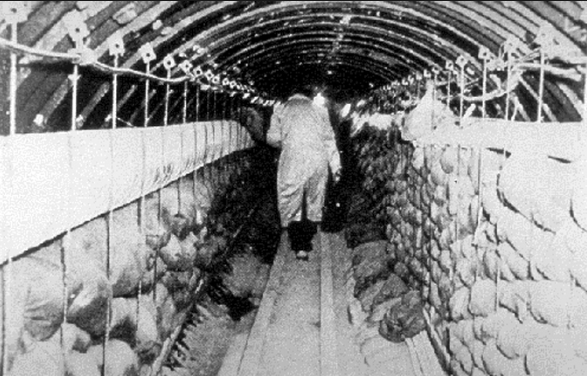 In the mid1950s, a tunnel was was built by British MI-6 and the CIA which tapped into a buried communications cable in East Berlin.